Fancy a nice hot cuppa? Or a slice of cake? Pembrokeshire has some of the best tea shops and cafes in Wales and amazing walks to some lovely places in Britain’s only coastal National Park. So what could be better than a book showcasing the ten best short circular walks teashops and cafes in Pembrokeshire in west Wales? 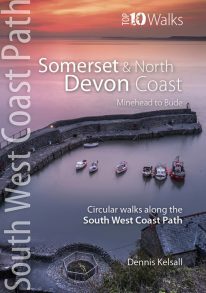 Walks and teashops featured in the book include: the Plumvanilla Cafe, Narberth, Sound Cafe, St Davids, Wavecrest Cafe, Angle, Quayside, Lawrenny, Caffi Vista, Tenby, and Colby Garden National Trust tearoom at Summerhill. To learn more, see the dedicated page for Tea Shop and Cafe Walks in Pembrokeshire.